Day 1 of National Teams Ocean and Beach Events concluded 1.30am Australian Time, Sunday 21st of September with Day 2 to come later today, 5 p.m. onwards our time - the Australian Open men and women in the Finals coming in first in Rescue Tube, Board Rescue, with either New Zealand or host nation France on their heels. The Italian and German team members have also been among points collectors so it's going to be a very exciting final day for the Opens competition with a few breaths held back here. A stand out among the Youth Team of Australians abroad with eight gold medals from 10 events – including a total of seven gold over two days is Newport’s latest recruit Georgia Miller who added gold in the Women’s Oceanman, Oceanman Relay and individual surf and single ski races to her opening day wins in the board race, board rescue and rescue-tube-rescue. Results for the Masters sees Eva Channells, Lise Barry and Christine Hopton from the Newport/Avalon Masters brightening everyone's week - and Avalon's Chris McGuckin collecting bronze in the board race and a 4th in the ironman, while Queenscliff's Masters Team have won so many medals in sprints, flags they wil be coming home heavier even without all that wine and cheese. 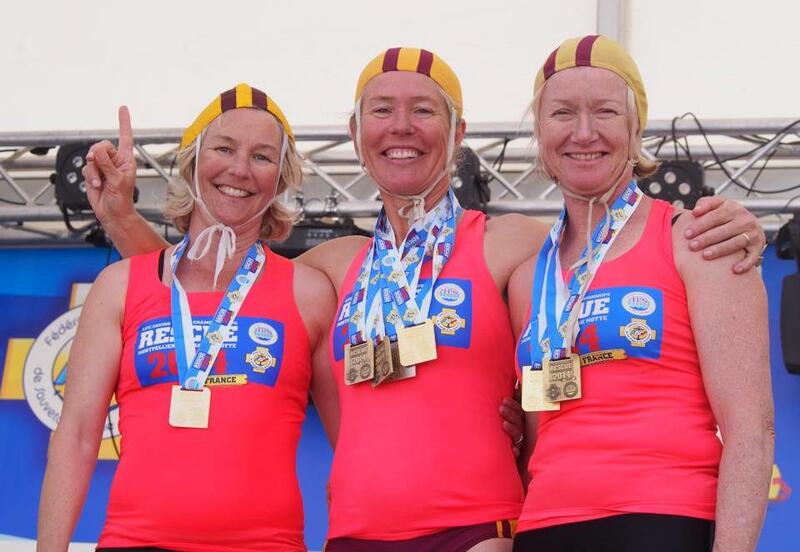 Collaroy Surf Lifesaving Club's Ross Langbein won Gold in the beach sprint, Dee Why's ski relay team the Bronze. Surfboat Results were still not listed this morning - by next Issue, we hope. The list of events excelled in, finals reached and placed in, is a testament to the dedication of individuals that are stronger as one team and an indication of the skills and experience brought to the beach yesterday when the flags went up for the first Patrols of the 2014/15 season. 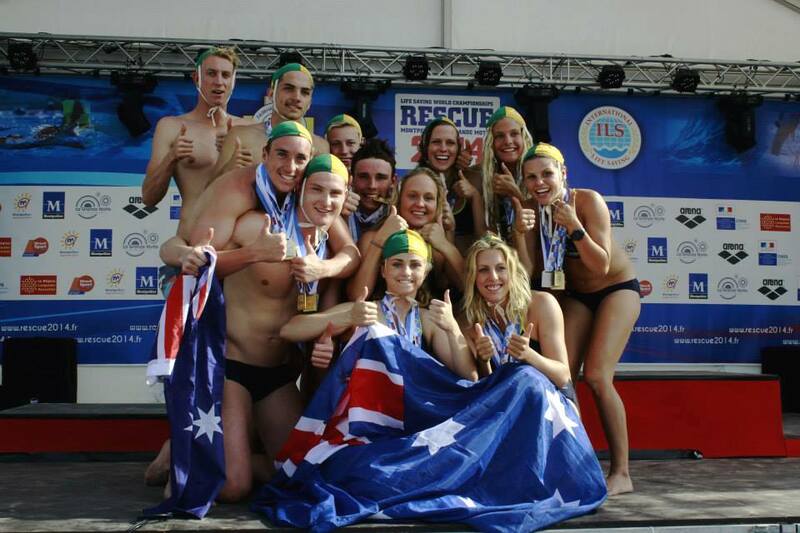 Australian Youth Team - Rescue 2014 Surf Lifesaving World Championships - France. NSW Environment Minister The Hon Rob Stokes, MP for Pittwater with YHA Operations Manager Robert Henke, YHA Ltd Director Dana Ghinzel, and Pittwater YHA Managers, Michael Doherty and Sarah Polomka. - Picture courtesy Silke Kerwick. On a sparkling, sunny day, the NSW Environment Minister kayaked to Pittwater YHA to join in the celebrations for the 75th Anniversary of Youth Hostels in Australia. It’s not every day that a Minister for the Environment drops by, and it was certainly a world first when the Hon Rob Stokes, MP for Pittwater arrived at Pittwater YHA by kayak! 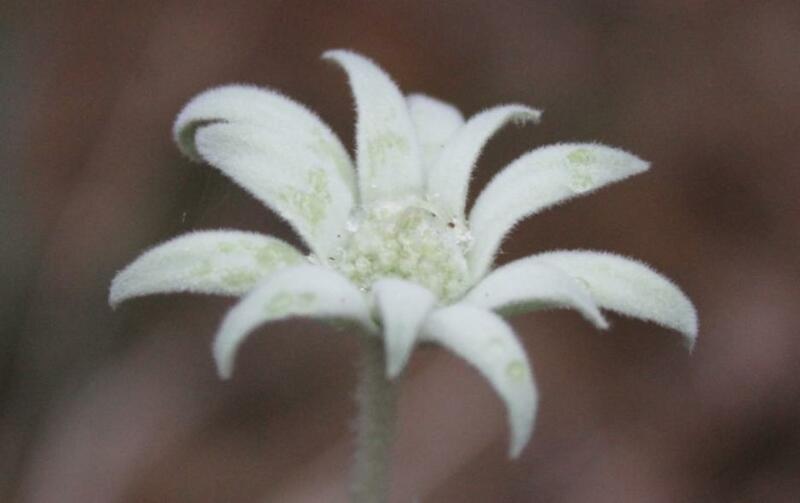 Flannel Flower in Angophora Reserve, Avalon - Tuesday, September 16. A J Guesdon Photo. September Equinox in Sydney, New South Wales, Australia is on Tuesday, 23 September 2014 at 12:29 PM AEST - some pictures of what native bushflowers are currently in bloom at Angophora Reserve - Avalon, for those who prefer to stroll with their eyes HERE. Taken on Tuesday morning, September 16, during a thunderstorm. 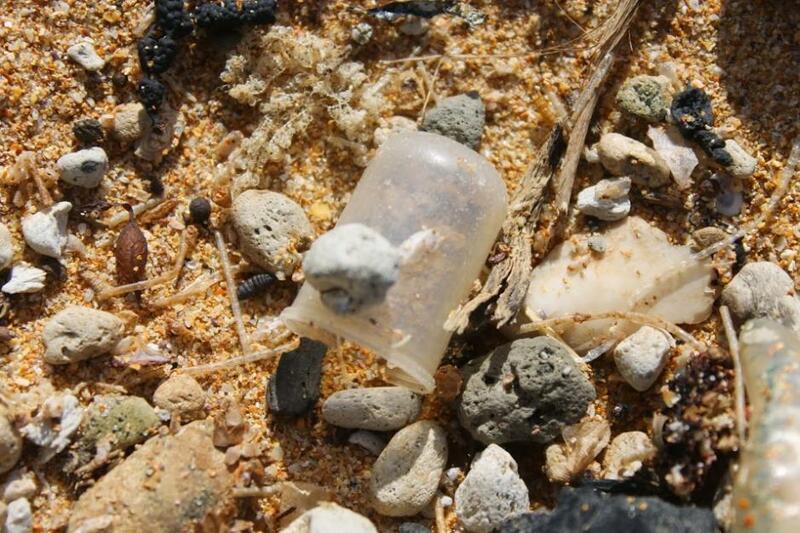 Plastic top washed up among real sea debris - on a beach in Pittwater; A.J. Guesdon Photo 31.8.2014. Did you know that 43 per cent of sea birds have plastic in their gut? Or that in some parts of our ocean there can be 40,000 pieces of marine debris per square kilometre? CSIRO have just finished the largest sample of marine debris data ever collected anywhere in the world and the results are very worrying for marine life. You may want to think twice about what you do with your rubbish on the beach this summer. The world's largest collection of marine debris information has identified Australia's coastal rubbish is mainly plastic from Australian sources. In a report released on September 15th, 2014, CSIRO scientist Denise Hardesty says her team surveyed sites approximately every 100 km along the Australian coastline. "We found about three-quarters of the rubbish along the coast is plastic," she says. "Most is from Australian sources, not the high seas, with debris concentrated near cities." She says the density of plastic in Australian waters ranges from a few thousand pieces of plastic per square kilometre to more than 40,000 pieces.